Teratai Restaurant of Hotel Borobudur Jakarta offers special promotion in this November, which is spike sea cucumber menu. All sea cucumber menus are created by Teratai’s executive chef, Alex Kwok, a Hong Kong-born chef. 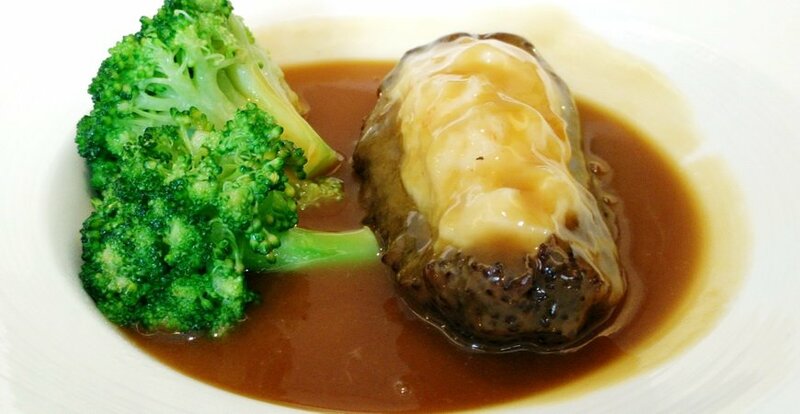 Sea cucumber or haisom is luxurious seafood famous in Hong Kong or China. Although Indonesia is one of sea cucumber exporters, they are not very big here and mostly exported to China and Australia. “This is why we decide to introduce sea cucumber menu in our restaurant,” said Indira Puliraja, Assistant Public Relations Manager of Hotel Borobudur Jakarta. Teratai Restaurant’s Sea cucumber menu comes with creative ways of cooking and seasoning. Having very reasonable prices, this promotion aims to popularize sea cucumber in Indonesian consumers. Teratai Restaurant, Cantonese restaurant of Hotel Borobudur has been around for as old as Hotel Borobudur Jakarta. With experienced staff and comforting food, this becomes one of a favourite restaurant in Hotel Borobudur for many persons. Hotel Borobudur is located at Jl. Lapangan Banteng No. 1, Jakarta Pusat, Indonesia. Tags: sea cucumber, teripang, hotel borobudur, teratai restaurant, haisom.